Type of resistance is a contemporary dance solo that investigates the concept of resistance, in relation to our existence, to the dynamics that it establishes in everyday life, to the signs it leaves in the bodies. The type of resistance is born from a need, from inactivity translated into motion, transformed into a choreographic discourse. 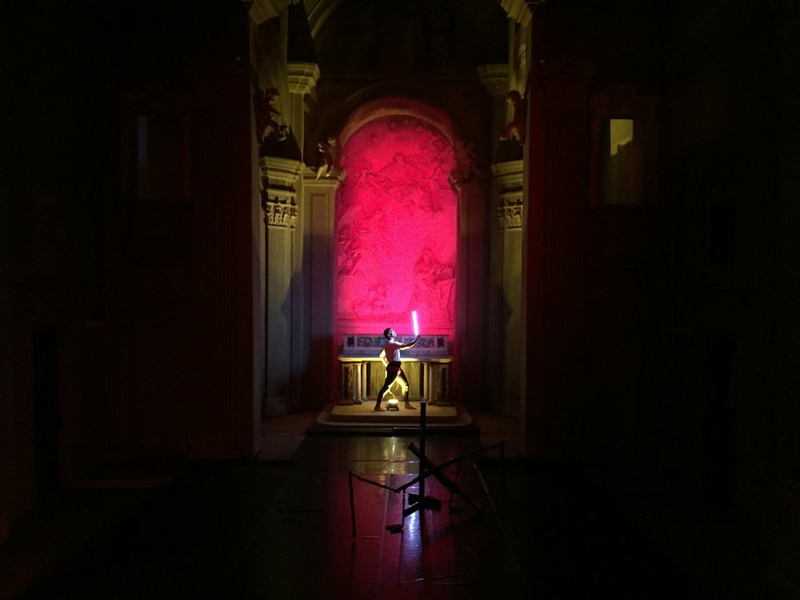 A light scenography created for a contemporary dance performance of the dancer Pablo Tapia, use colours and light intensity playing with the unique scenery of the Chiesa della Santissima Annunziata in Pesaro. It illustrates the differents stages and dynamics of the hero triumph in his quest of resistance.